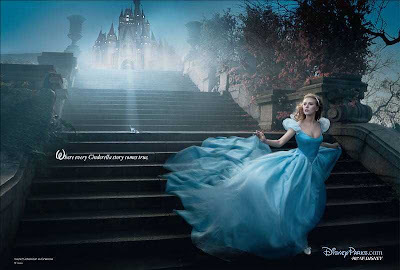 'Disney Dream Portrait', série de Annie Leibovitz. 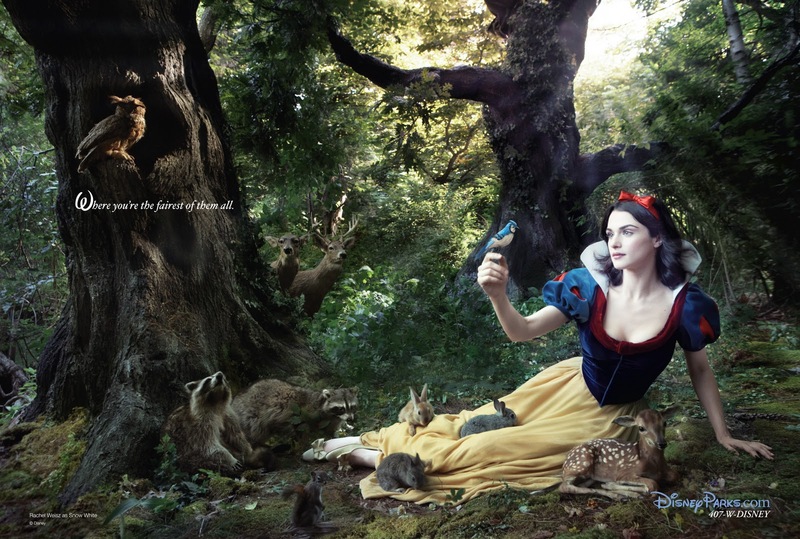 Rachel Weisz as Snow White. Roger Federer as King Arthur from "The Sword in the Stone". 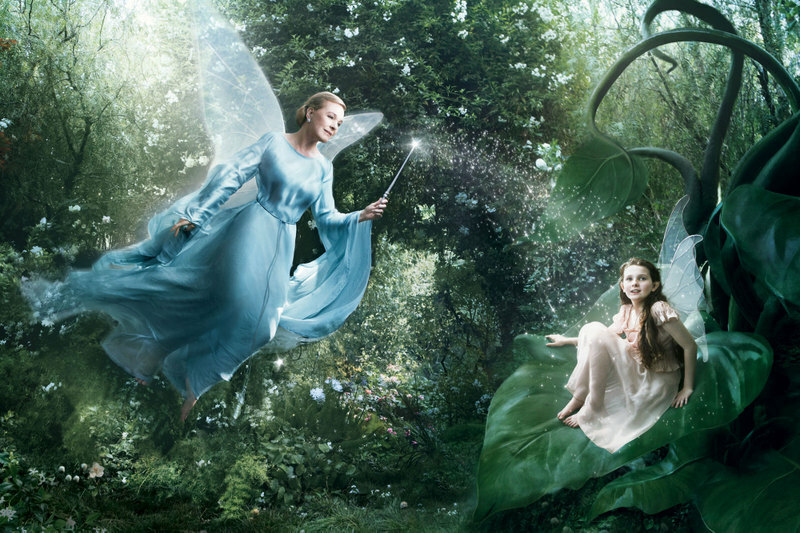 Julie Andrews as the Blue Fairy of "Pinocchio," and Abigail Breslin as Fira from the Disney Fairies series. 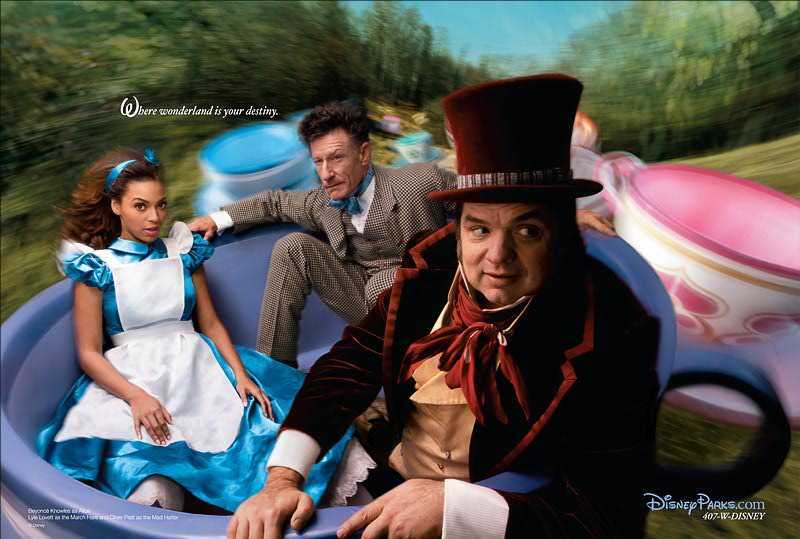 Beyoncé Knowles as Alice in Wonderland, Lyle Lovett as the March Hare, and Oliver Platt as the Mad Hatter. 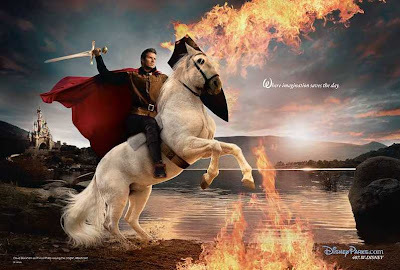 David Beckham as Sleeping Beauty's Prince. Gisele Bundchen as Wendy Darling, Mikhail Baryshnikov as Peter Pan, Tina Fey as Tinker Bell. Jennifer Lopez and Marc Anthony as Princess Jasmine and Aladdin. 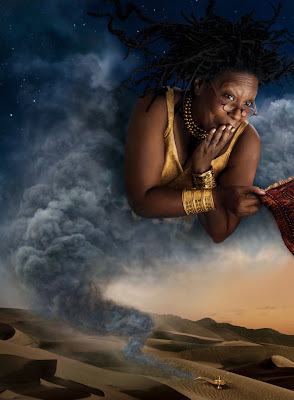 Whoopi Goldberg as the Genie from Aladdin. 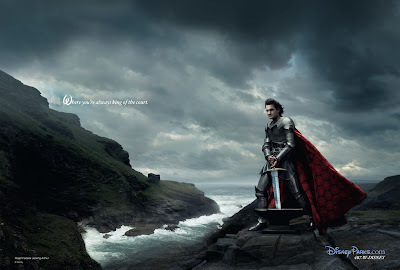 Zac Efron and Vanessa Hudgens as Prince Phillip and Princess Aurora from Sleeping Beauty. 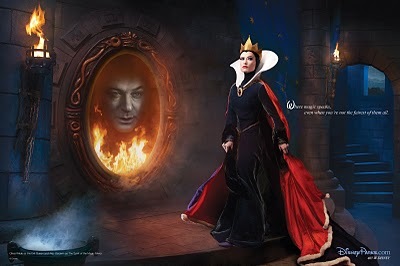 Olivia Wilde as the Evil Queen and Alec Baldwin as the Magic Mirror from Snow White. Queen Latifah as Ursula from The Little Mermaid. Penelope Cruz as Belle and Jeff Bridges as the no-longer-a-beast prince from Beauty and the Beast.